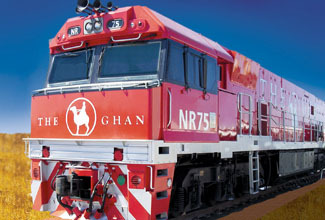 All meals onboard Ghan, FREE beverages throughout your journey, FREE toiletries kit, in-cabin music and commentary, use of "Outback Explorer Lounge"
Darwin Luxury Coach Tour with Hotel Pick Up, Overnight Darwin Accommodation. Depart Barramundi Gorge late this afternoon for Nawurlandja Lookout. Take a short climb up the sloping sandstone to get panoramic views of the sun setting across Nourlangie Rock, Anbangbang Billabong and the Arnhem Land escarpment. 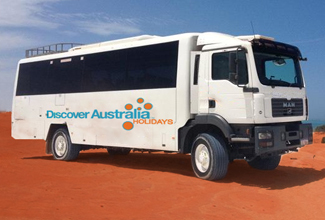 Small Group Luxury 4WD Tour with Hotel Pick Up, Corroboree Billabong Cruise, Lunch, Dinner, Overnight Kakadu Accommodation. Depart Jabiru after breakfast and travel to the northern region of Kakadu. Cross the East Alligator River at Cahill’s Crossing and travel into Arnhem Land. Enjoy a scenic drive into the Gunbalanya Aboriginal community and take in vistas of the floodplains covered in bird life and water lilies. Today marks the end of your epic Arnhem Land and Kakadu adventure. Time to say goodbye to beautiful tropical Darwin, your fellow travellers and friendly hotel hosts. You will be personally met at your hotel by a DISCOVER AUSTRALIA representative and transferred from your hotel to the airport for your flight home. Your special overnight small group Luxury 4WD Touring includes all meals. 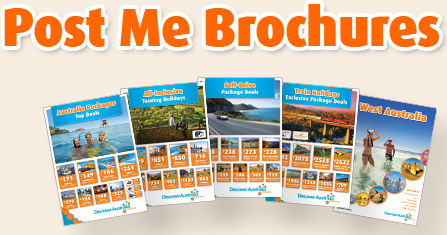 You will be personally met by a DISCOVER AUSTRALIA representative and transferred from Adelaide airport to the railway station, from the railway station on arrival in Darwin to your hotel and from your hotel to the airport to meet your flight home. The indulgent Platinum Service cabins are nearly twice the size of Gold Service cabins and come with premium fittings. The large panoramic windows give you the best seats onboard the Ghan plus you have an interior window to give you views of both sides of the train at the same time. During the day, your cabin will be configured as a private lounge, with deluxe lounge seating, a table and two ottomans. By night, it is converted to a comfortable bedroom, with either a double bed or twin beds. Platinum Upgrades start at $1390 per person. All packages can be upgraded to include luxurious Platinum Service, simply ask. The Ghan to Darwin with Kakadu & Arnhem Land Luxury 4WD Touring is very popular. Many dates book out well in advance, please book soon.